The O’Brien’s team is delighted to welcome a new member to the landscape fleet. In addition to a significant investment in fleet upgrades and fresh new livery, the team has also invested hard work and creativity to bring the green mini to life. 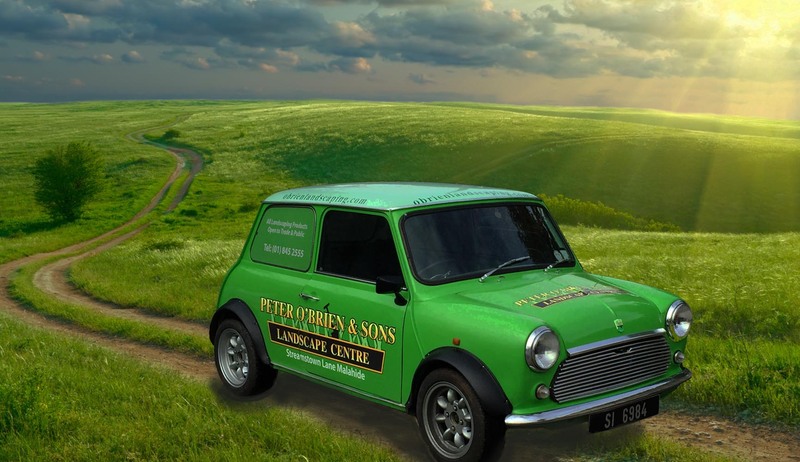 The brainchild of landscape shop manager, Martin Goucher, the green mini has pulled in expertise from across the whole team including mechanics and paint specialists. While the mini will be put to work in smaller scale projects it will primarily serve as a promotional vehicle. Be sure to give us a beep and a wave if you see us on the street!